I got busy and put together some simple quilt tops for charity. My church's youth group tied the quilts. 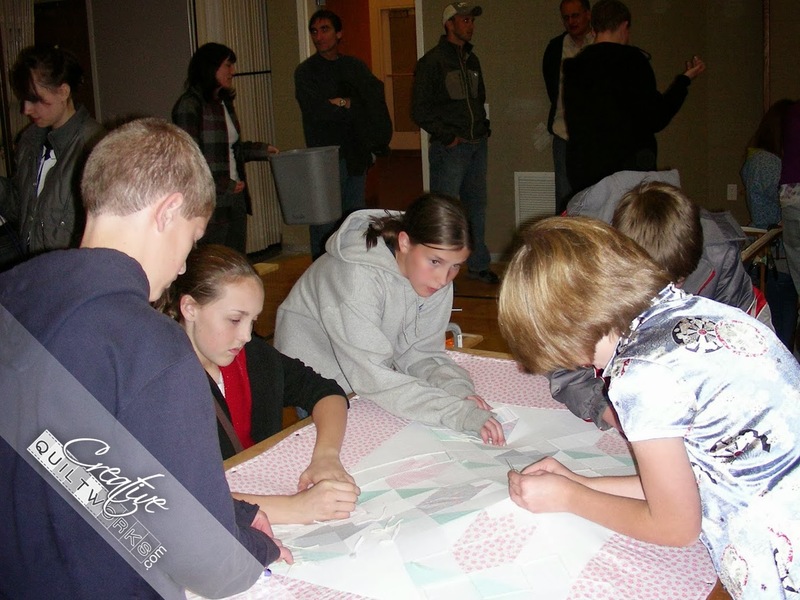 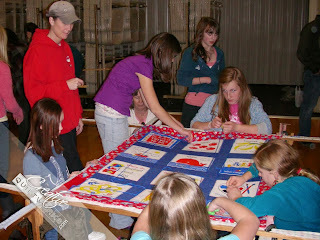 With everyone helping the quilts were finished in no time. 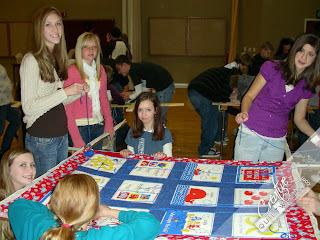 And somewhere, someone is a little warmer and feels our love!